Very Good. 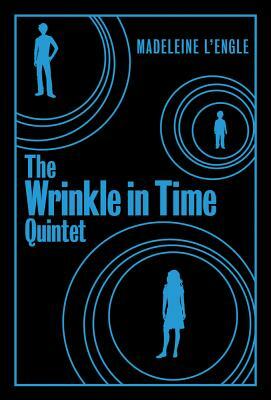 The Wrinkle in Time Quintet by L Engle, Madeleine, 2007-10-02. Trade paperback (US). Glued binding. Product in box. 244 p. Time Quintet. Intended for a juvenile audience. Fair. Condition Acceptable: Comment: Book is used and in acceptable condition. This may include heavy wear on cover and pages, highlighting/writing on pages, staining, and moisture damage (rippling/warping). All orders ship via FedEx SmartPost. (Please note shipments to Hawaii and Puerto Rico Can take up to 30 days. ) Thank you for shopping with Goodwill Industries of the Inland Northwest-changing lives through the cycle for good.